The term "Dunga" refers to the westernmost section of the Nyalenda slum, which stretches along the Southern border of Kisumu. The Nanga community is located in the Dunga section of Kisumu, and is closest to Lake Victoria. This community has a similar composition to the areas served by the Central and Nyalenda centers. Because there is little education and healthcare for people living with HIV/AIDS, many men and women have died and left children behind as orphans. CARE for AIDS opened operations in the Nanga community in 2010 in partnership with Nanga Baptist Church. The center is currently in the Open Recruitment phase of the CARE for AIDS program. Rodah grew up as a partial orphan struggling to sustain the family. Today she and her husband, Moses, have two children. She joined the CARE for AIDS team in 2015 with the hope of changing the lives of people living with HIV/AIDS. Her greatest desire is for her clients to know God. Judith is a business owner, mother of seven, and grandmother of eight. She works to support her entire family and has known her HIV status for years. 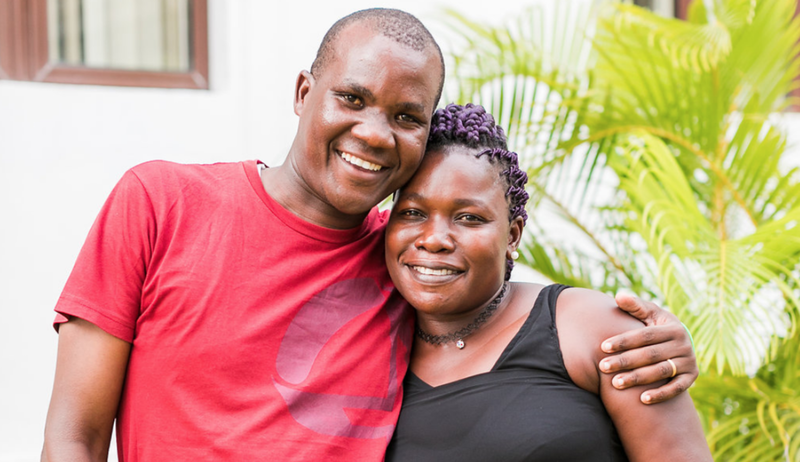 Judith is a fighter, and she joined the CARE for AIDS program in 2018. She takes comfort in her counseling sessions and in knowing that she is not alone in her journey. Judith recently accepted Christ for the first time, and she can feel a drastic change in her life since making that decision. Judith loves being part of the CARE for AIDS program and sums up her experience at Nanga center with one sentence: “I feel a peace now that I have never experienced." The CARE for AIDS center in Nanga is sponsored by the generous employees of the Maxwell Group. Donate below to help support operations at Nanga center.